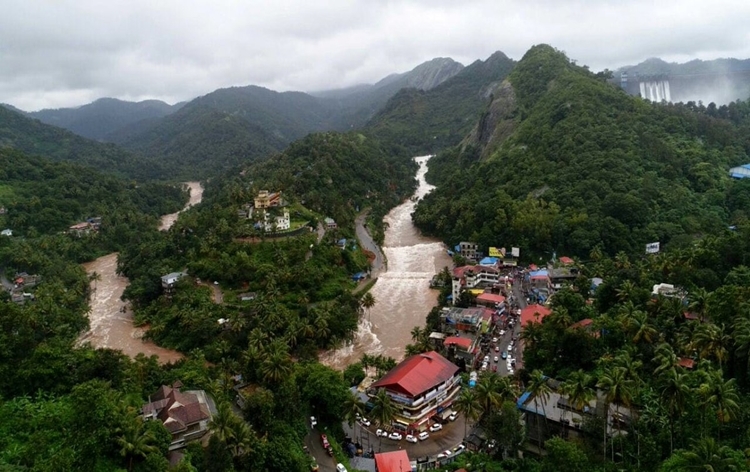 A team led by Kerala Chief Minister Pinarayi Vijayan accompanied by Leader of Opposition Ramesh Chennithala today had an aerial survey of the worst affected districts of the State. The team could not visit Idukki as the helicopter could not land due to bad weather. Later they moved to Wayanad and the team reviewed the situation.